This section in interpreting Tarot Cards is the Minor Arcana, which is comprised of 56 cards in 4 suits. Each suit is similar to normal playing cards (ace to ten), with the addition of an extra court (face) card, the Page. Each suit refers to a specific area of the subjects life, thus there are four broad arenas of life, each represented by the astrological signs of Fire, (passion), Water, (emotions), Air, (ideas), and Earth (physical). I have keyworded each suit and each number group. This keyword is my one word generalization for later use in a table of meanings at a glance. Also called Rods, Batons or Staves. Wands are the suit of passions and ideas, inventions, advancement, growth and progress. They represent the astrological sign of Fire - (passion). This is the suit of labourers and workers. As such, in a reading it usually stands for the subjects ambition, career and creative endeavours. 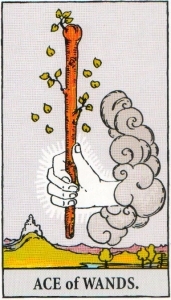 The meanings expressed by the suit of Wands represent things which the subject will have to do as they move forward in their life, as they express their talents - i.e. they are cards of action. This is the suit of emotions. Cups represent the astrological sign of Water. The cup is a symbol of pleasure and fulfilment, happiness and joy. Often they represent our love life, but also this suit represents the humane person in each of us. In addition, Cup also represent psychic powers, visions and illusions. This is the suit of leaders and warriors. Swords represent the astrological sign of Air. Swords represent ideas, courage, authority, aggression, boldness, force, strength, desire, and ambition. A sword can be used for either attack or defence. Thus the scenarios represented by swords can therefore represent the subject either attacking or being attacked. Represents thinking, speaking, problems and troubles. Live by the Sword, die by the Sword sums up many of the situations subjects get themselves into which are represented to Swords in their reading. This is the suit of the physical, which includes the body as well as the material world of careers and wealth. Pentacles represent the astrological sign of Earth. Pentacles are best known for representing health and money, but they also represent anything to do with work, a job, a task, a craft. These are the cards of fortune - both good and bad luck. Each suit is made up of the numbers One (Ace) to Ten followed by four court cards - Page, Knight, Queen and King. As a generalization the numbers refer to the person themselves, whilst the court cards represent outside influences and people who are influencing that person. There is a general progression through the numbers within the meaning of the particular arena of the selected suit. Within the suits of Wands, Cups and Pentacles, this progression is quite logical. The fly in the ointment is the suit of swords - for the suit of swords, more is definitely not better! When interpreting tarot cards of the minor arcana, Aces are the root force of the suit. They are a new start. The Aces represent hopes, dreams and potential success. When following other cards in the story line they indicate creation or attainment. When interpreting tarot cards of the minor arcana, the twos represent a fork in the road. A decision has to be taken. Competing interests must be balanced. Harmony should be achieved. When interpreting tarot cards of the minor arcana, the threes provide us with a triangle. Where the triangle is positive and supportive it is the strongest of all geometric structures. When it is negative and divisive, it becomes a wedge which separates and splits asunder. When interpreting tarot cards of the minor arcana, the fours represent stability. For a moment, everything is still, solid, rooted, established. This can be positive, a solid foundation. When negative, fours represent something that refuses to budge or change. When interpreting tarot cards of the minor arcana, the fives invariably pose a problem to be solved. They reflect instability entering the person’s life and as such they often raise more questions than answers.  Advice or help for the subject is often called for to move them forward. Five is also the number of the Hierophant - the adviser. An upset in the person’s life seems inevitable. Where the fives suggested instability, the sixes represent actions, moving forward toward solutions and stability. Even the swords show a getting on with life. When interpreting tarot cards of the minor arcana, the sevens relate to the Chariot, a card about finding and maintaining control and mastery over opposing forces. The subject represented by the sevens is faced with various dilemmas, all of which he can overcome after effort or finding a solution to their problem. Eventual success is foretold. When interpreting tarot cards of the minor arcana, the eights are about moving, taking action - they are related to the Strength card. Movement, travel, brave decisions and hard work are called for. Nine is also the number of the Hermit - shining a light on the situation. The nines represent completion, good or bad, although the subject is not aware of it yet. 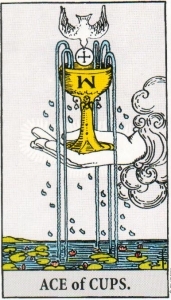 In order, the Wands are not sure which way to go (although resolution is at hand), the cups and pentacles auger success, and swords mean the ending of the current phase of the person’s life. As the aces represented the start of a venture, dream or idea, when interpreting tarot cards of the minor arcana, the tens represent its conclusion. 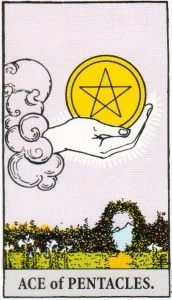 The wands auger completion with a last effort or help, the cups show success as do the pentacles. With Swords the situation is over - finished, dead and gone. The court cards usually represent people other than the subject themselves. In most decks they consist or the Page, Knight, Queen and King. In some styles, notably the Crowley, the Page is the Princess, so that in these packs there are two male and two female court cards. The meanings however, are the same. Court cards are outside influences or forces in the life of the subject. They may represent a lover or a partner, a boss or an assistant. They can show new opportunities and timely advice. On the negative side they can point to disruptive people and people to be avoided. Pages are invariably described as a young person, indicating new ideas or developments. 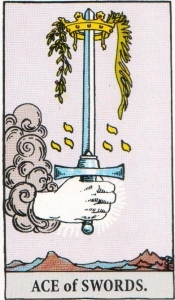 When interpreting tarot cards of the minor arcana, the Page brings a message relating to the arena of the particular suit. The pages can also stand for children in the subject’s life. When interpreting tarot cards of the minor arcana, the images of Knights are very much of a person on a mission. They suggest people involved in travel. The person is a mover and shaker influencing the life of the subject. Loyalty and trust (Knight like attributes) are associated with the Knights. The Queen is a person of wisdom and knowledge who can help the subject to move forward. The Queens can also counsel the subject to find and consult such a person. The Queen is a person who can put things into perspective. Many explanations actually start with the King because the King starts things off. This person is a motivator, an instigator of new projects. Planning, organizing, moving things forward, the King is the person to consult.  When interpreting tarot cards of the minor arcana, a king’s knowledge is power, so use this person’s advice to your advantage.